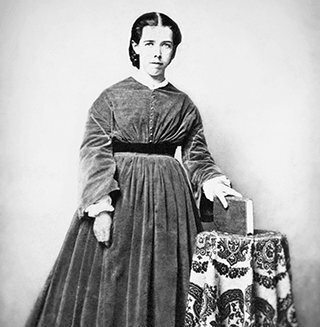 Jennie Plumb was Clearwater Elementary School’s first teacher. She taught all of the grades in a little log Baptist Church in the winter of 1873 for the grand sum of $100. Ten years later, Clearwater built its first schoolhouse on the Northside of the Clearwater Cemetery on Lakeview Ave. This photo was taken in the 1870s. Photo courtesy of State Archives of Florida, Florida Memory. Clearwater’s settlement began in 1842, after the Second Seminole Indian War ended. At that time the United States government passed an Armed Occupation Act that gave 160 acres of Florida land to any “head of family or single man over 18” who would cultivate at least five acres of that land for five years, as well as bearing arms in defense of the United States. James Stevens filed the first of more than 1,300 claims in Clearwater. His 160 acres included all of the land west of what would become Fort Harrison Avenue, from Drew Street to Jeffords Street. Drawn by the same elements that had attracted Native Americans all those years ago, the community of Clear Water Harbor quickly grew so that by the eve of the American Civil War, the town was self-sufficient. 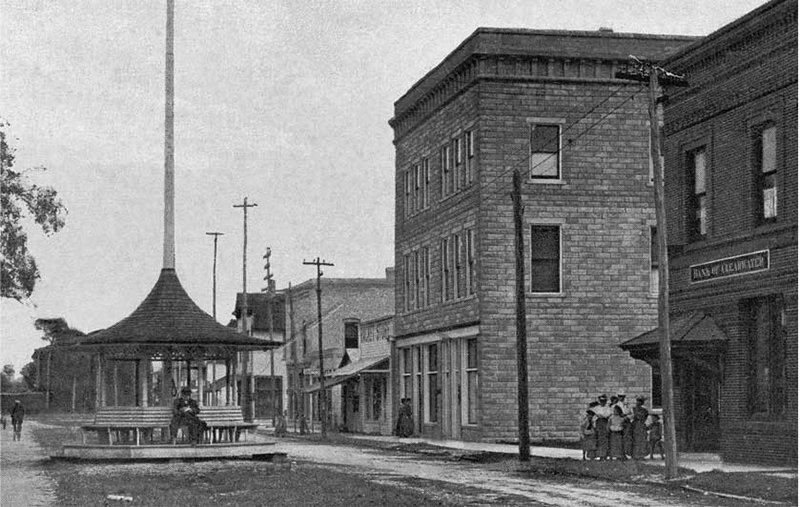 After the arrival of the Orange Belt Railway in the 1880s, along with the endorsement of nationally known physician Dr. Van Bibber (who claimed Clearwater was “the healthiest spot on earth”) the town grew quickly. 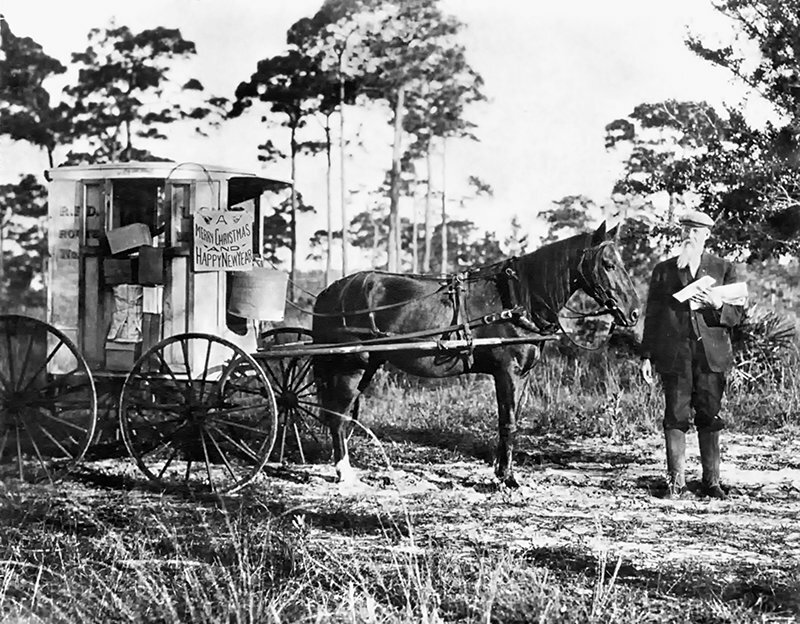 In the 1880s, Mr. Shaw was a rural “Free Delivery” postman whose route included South Clearwater and the Belleair area. Photo courtesy of State Archives of Florida, Florida Memory.